First Pittsburgh hosted the Regatta Rubber Ducky Races on our rivers. Then in 2013 a 40 foot Rubber Ducky hatched from the mind of Dutch artist, Florentijin Hofman, and floated into our hearts. Now an estimated flock of 8,000 seagulls is vacationing on our waterways. Why? Because Pittsburgh is obviously the Go to Place when Hell freezes over! Getting back to the ducks and gulls. Apparently some of the seagulls are even going to shopping centers in search of food. I often find myself doing that exact same thing. Even though the Great Lakes are thawing, 9 out of 10 seagulls prefer to stay in Pittsburgh. Some are even employed by Waste Management as winged sanitation engineers. WM certainly deserves its 2010 Diversity Leader Award. David Steiner, CEO and President said, "Diversity is about more than gender, race or ethnicity." In light of recent developments, I feel certain he would have added: Diversity could even be more than human. It could be bird or alien or robot! So, because of all the feathered friends in our area, I'm wondering, "What's next?" I for one am joining the National Audubon Society. The Society already taught me to make my windows visible to birds in order to prevent crashes. I certainly wouldn't want to crash into a seagull. They're scary when they try to get the fish sticks in my freezer or my garbage before it's ready for pick-up. Email any birdbrained comments to Kanela the Ornithologist at sandraseeley.com. 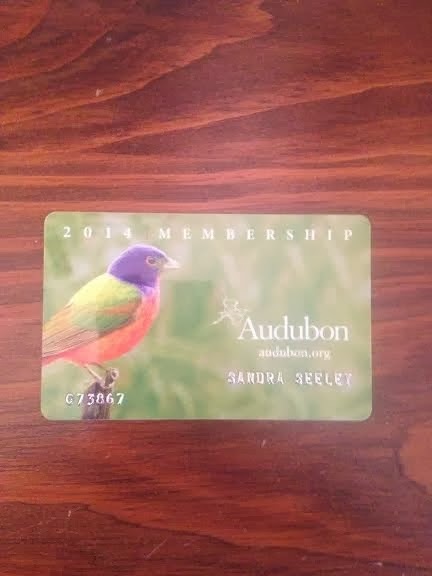 Also join the Audubon Society. It's good for your health!